We are looking for an efficient and friendly person with good administrative skills to be the first point of contact for visitors and telephone callers and a point of general enquiries at our busy reception. Part of the role will be to provide administrative support to the Sub Dean including dealing with correspondence, and assisting with arrangements for weddings, funerals and baptisms. You will also be responsible for making entries in the Cathedral diary system for internal events and services and keeping a range of contact lists up to date. You will be a point of contact for issues with the photocopiers, franking machine and telephone system and assist with the printing of orders of service and other large-scale print runs. In sympathy with the aims and objectives of the Christian Church and the Anglican tradition, you will be an excellent communicator, with good IT skills, and able to work largely unsupervised in a small, friendly and supportive team. Make arrangements for Newcomers Evenings including logging Welcome cards, invitations, Welcome packs and record keeping. 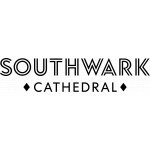 Southwark Cathedral is an Anglican Cathedral on the south bank of the River Thames, set in the heart of a changing and thriving community. The local area has undergone tremendous change with the opening of the Globe Theatre, the Tate Modern, the Millennium Footbridge and the Jubilee Line extension station at London Bridge as well as numerous other redevelopments including The Shard and re-developed London Bridge station. The site on which the Cathedral stands is one rich in layers of history. In Roman times it was part of the settlement that existed over the river from Londinium. Its Christian history began with the Saxons and a small convent. It became an Augustinian Priory, however, in 1106 and with Westminster Abbey and St Bartholomew the Great in Smithfield is one of the three great monastic churches that have survived in London. At Southwark Cathedral we are committed to welcome and hospitality, to inclusion and compassion, all hallmarks of the life of our forebears here. We hope that you would like to join us and support the life of the Cathedral in this role.